The United States can be a cruel place to live, as the rise of fascism in the country has caused a shocking increase in hate crimes. And after a terrorist shooting in Kansas, Americans have turned to what has now become a depressingly common ritual in the face of tragedy: Raising money for the survivors through crowdfunding campaigns. 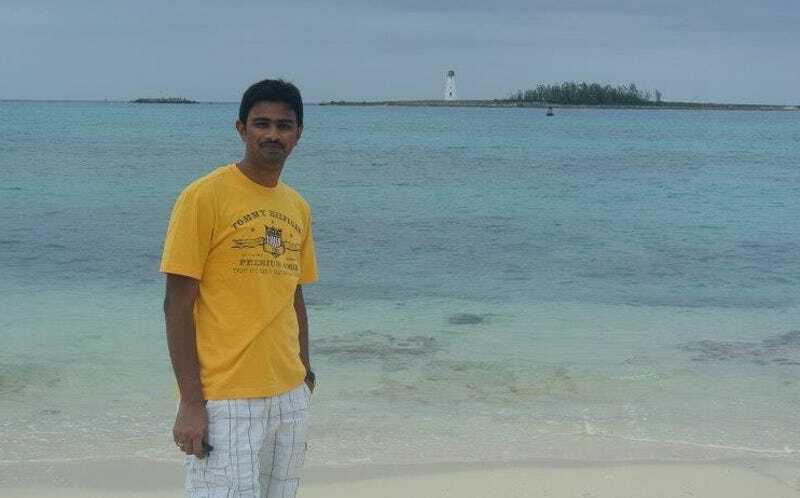 An Indian engineer for Garmin, 32-year-old Srinivas Kuchibhotla, was shot and killed Wednesday in a Kansas restaurant by a white man who thought he was shooting at a Middle Eastern man. Two other men were injured in the shooting, including Garmin engineer Alok Madasani, also of Indian descent, and a white bystander who tried to intervene. Madasani has been released from the hospital and Ian Grillot, the 24-year-old white man who tried to stop the terrorist and was also shot, is expected to recover. The shooter, 51-year-old Adam Purinton, was charged on Thursday with one count of premeditated murder and two counts of attempted premeditated murder. Purinton allegedly shouted racial slurs and “get out of my country” before shooting at the Indian men. He allegedly told a bartender at an Applebee’s where he was later apprehended that he’d shot two Middle Eastern men. One of Kuchibhotla’s friends, Kavipriya Muthuramalingam, did what has become all too common in the wake of American gun violence: He launched a GoFundMe crowdfunding campaign to help Kuchibhotla’s wife and extended family. So far over $256,000 has been raised in less than 24 hours. A GoFundMe page has also been started for Grillot, the man who tried to intervene in the shooting of the Indian men and was shot himself. So far that campaign has raised over $116,000 in less than 24 hours. Purinton turned around and fired a shot at Grillot which went through his hand and chest. Grillot explained that he acted because he didn’t want anyone else to get hurt. “If he did it once, what would stop him from doing it again?” Grillot said. Both Kuchibhotla and Madasani worked on Garmin’s aviation systems engineering team and were regulars at the restaurant, Austins Bar and Grill in Olathe, Kansas. The American terrorist shooting has attracted widespread attention in India, with many denouncing President Donald Trump’s xenophobic rhetoric and embrace of white supremacists for fostering an environment of hate. But the FBI has yet to classify the shooting as a hate crime. “We are looking at whether the crime was committed via bias motivation. We are really at the preliminary stage at looking at every aspect,” Eric Jackson, a special agent at FBI’s Kansas City office said at a news conference. Purinton is being held on $2 million bond. So far no one has started a GoFundMe campaign for Purinton, though racists have been known to use crowdfunding tools for their own purposes in the past. Update 10:11am: The father of Srinivas Kuchibhotla has told the Hindustan Times that America is no longer a safe place, and has implored his fellow Indians not to send their children there.